Make test-prep fun! 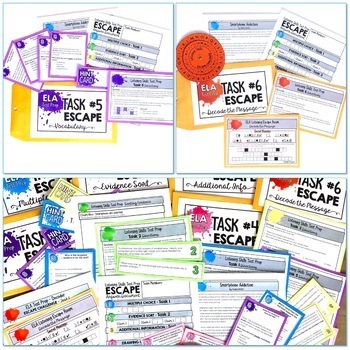 Help prepare your students for high-stakes standardized tests with this ELA Test Prep Listening Skills Escape Room Activity. This escape room also doubles as a nonfiction reading escape room activity. 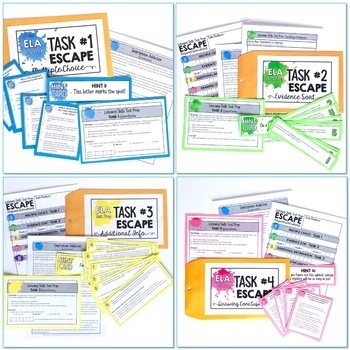 This download includes teacher directions, student directions, a professionally-recorded audio file, and all of the printable resources necessary to hold an escape activity in your classroom. This escape room activity includes one nonfiction passage about smartphone addiction that is professionally-recorded. Students listen to the audio file and then complete the six escape room challenges. Play the audio file for the students. For students who have IEPs, or for extra differentiation, I've also included a text version of the file. 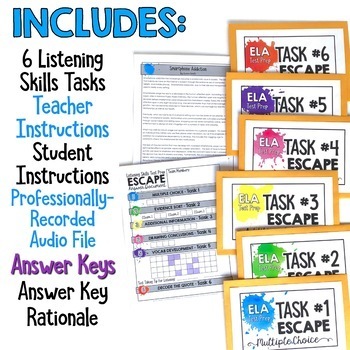 Students will complete six different test prep, listening skills tasks that rely on answering questions that mirror state testing questions, finding appropriate evidence for specific questions, determining the meaning of more challenging words, and looking at additional information. Most students should be able to complete the escape room in one 55-minute class period. 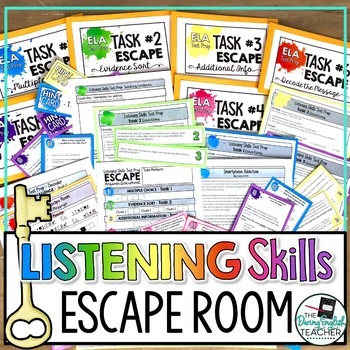 After students complete the escape room challenge for the audio file, students can complete a couple different review/reflection writing activities. .